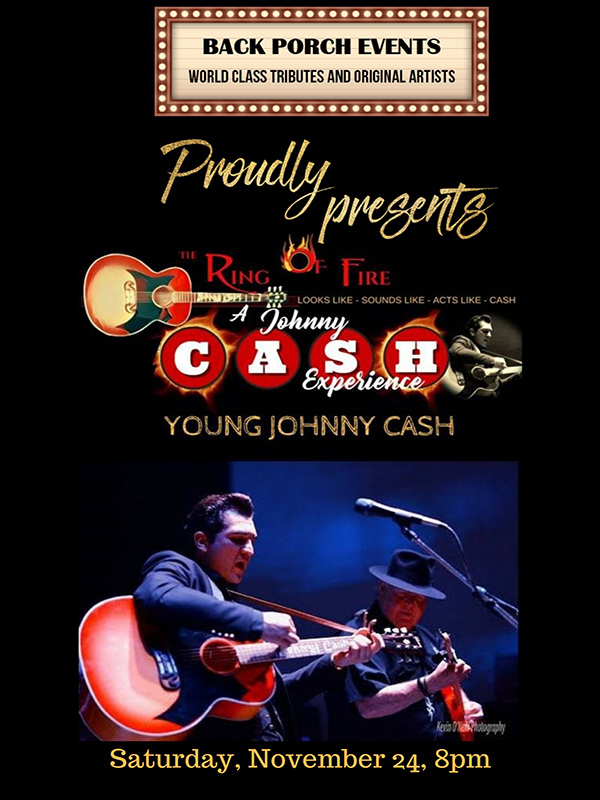 Busting out foot lights, delivering songs like no other Johnny Cash tribute and producing the highest level of excitement and energy, Andy Vickers and the musicians involved bring true life to the music and style that made Johnny Cash famous. With the group being younger than most, they emulate the golden era of Johnny Cash in the 50’s and 60’s. As tribute artists, they’re able to bring a unique edge that’s attracting the next generation of Johnny Cash lovers and encourages even the most mature fan to wander down memory lane. The groups repertoire ranges from the “live versions” of Cash’s songs that started a new genre in music like I Walk The Line, and Hey Porter all the way to the most recent from the American Recording albums produced by Rick Rubin. People all over Canada can’t be wrong, visit the testimonial page on our website to hear what the buzz is about. “If you are a Johnny Cash & The Tennessee 3 fan do yourself a favor and check out The Ring of Fire: A Johnny Cash Experience with Andy Vickers. If you want to see the real deal …. look no further, they are certainly it."